Welcome to Tabata Tracks. 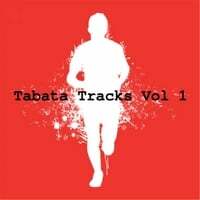 We are the No.1 source for the great sounding Tabata Songs, Tabata Tracks, and Tabata Music. What are the benefits of Tabata Training? Tabata training is one of the most effective exercise routines around designed to improve both aerobic & anaerobic fitness & burn fat fast. A Tabata is four minute routine combining 8 rounds of extreme high intensity exercise follow by 10 seconds of rest. 4 minutes sounds really easy to the uninitiated, but is actually very difficult & physically challenging. Done properly, you should be read to drop after just four minutes. Studies in Japan on Ice Skating Athletes training for the Olympics showed that ONLY ONE Tabata training four days per week for six weeks outstripped those training for 1 hour per day (at moderate exercise), five days per week for 6 weeks. In short, if you want to get leaner, stronger, and healthier in less time, then Tabata training should definitely become part of your weekly workout. If you love to run or cycle for one hour at a time, this is great, but you can get better health and fitness benefits is 4 minutes by following the Tabata Protocol. How Does the Tabata Protocol Work? What exercises can I do with Tabata? The hardest variation of Tabata is to choose one exercise only such as sprinting, squatting, or cycling. Then perform this activity at maximum capacity for 20 seconds on and 10 seconds off for 4 minutes. However, many people find mixing two exercises per Tabata more fun, interesting, and yet still have similar extremely good results. For example, Tabata 1 could be squats and push ups (4 minutes), Tabata 2 could be sprinting and push ups (4 minutes). The are endless combinations that can be performed keeping your body guessing, the muscles toning, and the fat burning. How can I improve my Tabata Training? Many studies have shown that athletic performance is improved when athletes listen to “pumping” music with a high number of beats. Listening to music while training helps keep athletes stay in the zone, and motivates them to work harder. This is why we designed Tabata Tracks. Tabata Tracks are great music tracks that motivates you to workout harder and faster. Better still, they are specially designed around the Tabata Protocol to help you time each workout without needing to look at a watch, or use a device. Each Tabata Song is 4 minutes long, broken into 20 seconds of intense motivational music followed by 10 seconds of quite. We have also added a voice counting “3, 2, 1″ just before each 20 second cycle starts. This is very useful for mental & physical preparation. If you are only going to work out for 4 minutes, you may as well make every second count.